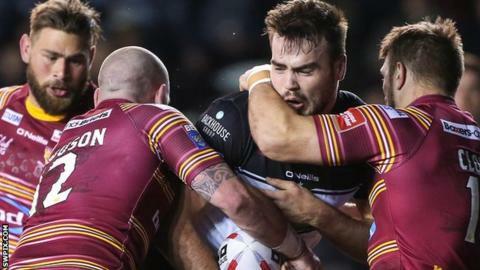 Prop forward twins Ted and Jay Chapelhow have signed contract renewals at Widnes that will expire in 2019. The Chapelhows, 21, came through the Vikings academy system to make their first-grade debuts in 2016. Both players have had dual-registration spells at Whitehaven, while Ted has also represented Championship side Bradford this season. "They are both outstanding products of our academy, who love the club as local lads," head coach Denis Betts said. They have great abilities, are excited for the future and are dedicated to getting better."